Lucas Patty has yet, after his recent publication in the Journal of Quantitative Spectroscopy & Radiative Transfer (dec 2017), published another paper! The new paper is entitled “Imaging linear and circular polarisation features in leaves with complete Mueller matrix polarimetry”. Previously they showed that the photosynthetic apparatus in leaves induces circularisation ofunpolarised light due to its isotropic components, in the same amount as that it can absorb circularly polarised light. As these transmission measurements can be executed both in-vivo and post-mortem, they were able to confirmed that healthy leaves can successfully be differentiated from senescing leaves in-vivo. 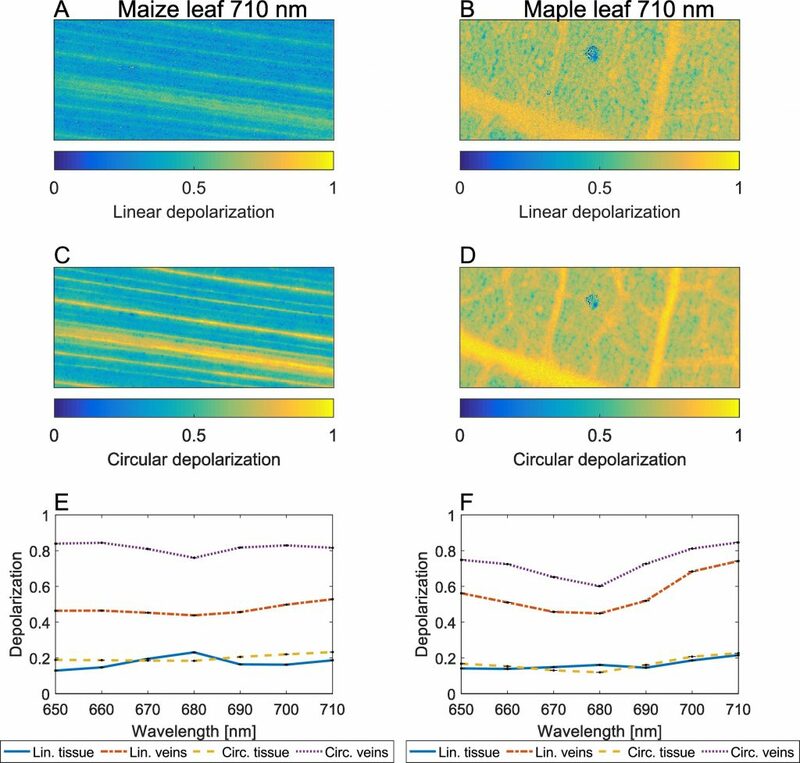 In the new paper, Lucas shows that not only the photosynthetic apparatus, but also the cell structure and its arrangement within a leaf can create and modify polarisation signals. Basically, both linear and circular depolarisation is much larger in the veins than in the normal tissue. Such in-dept understanding of polarisation spectroscopy data can both contribute to agriculture and the remote sensing of life on other planets!